Buying a new phone can be a challenge, especially when there is a wide variety of mobile phones available both in the local market and online stores in India. A lot of people want to buy phones which have almost all the necessary features and are reasonably priced too. There are many phones with good features available for less than Rs 10000 and a price range as attractive and competitive as this, ensures that the buyer is left confused. 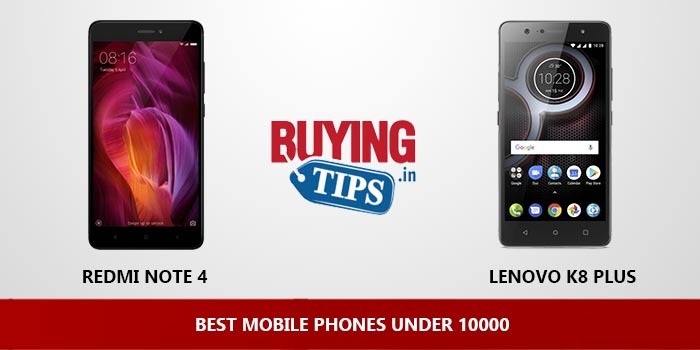 To make your mobile phone buying decision easier, we have listed the Top 5 best mobile phones under 10000 rupees. Since your budget is Rs 10000, we assume that you are looking for a smartphone (and not a feature phone). Apple iPhone’s are not available in this price bracket, so your only options would be smartphones powered by Google Android or Microsoft Windows operating systems. Android is the most popular OS for mobile phones under 8000, 9000 or 10000. Microsoft has a couple of good phones in this price range, but the Google Play Store has the widest range of application and games. So pick Windows only if you use your smartphone for phone calls, text messages, Whatsapp and a few other basic tasks, otherwise go with Android. One of the most important decisions to make before buying a phone is the ‘Screen Size’. Smaller phones that are easier to handle with one hand are under 5 inches. If you want a large screen, we suggest that you don’t opt for phones that are larger than 5.5 inches. Manufacturers like Motorola, Huwaei, Asus, Xiaomi sell their phones exclusively on online stores like Flipkart. Most of their popular phones are not available in the local market. It’s safe to purchase phones online, almost all online retailers have the ‘Cash On Delivery’ option. 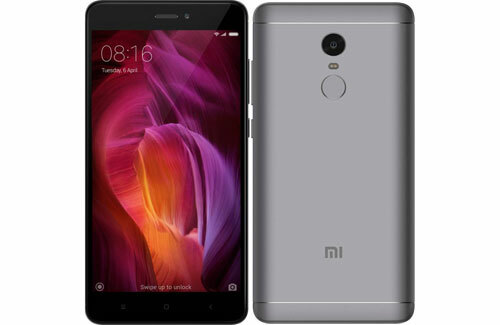 Introduction: After the huge success of Redmi Note 3, Xiaomi launched its successor the Redmi Note 4 with 2GB/3GB/4GB RAM and 32GB/ 64GB internal storage. Xiaomi known for their budget phones launched this amazing looking phone for just Rs 1o000. Design and Build quality: Phone looks really good with metal finish and 2.5 D curved glass at the front. Not only does it feel good to hold but also looks premium. Display: 5.5 inch Full HD display is sharp and bright, displays good colours and contrast. It has good sunlight legibility and some protective screen that protects from scratches. However the automatic colour brightness doesn’t work sometimes and is too bright at times. Fingerprint scanner: Fingerprint is placed at the back which can unlock within seconds, not the quickest but definitely quick enough to unlock the phone when required. Software: Phone runs on Snapdragon 625 chipset with 3GB RAM, performance is pretty snappy and lag free mostly. The apps can be easily switched and there is no heating issue.It comes with Marshmallow 6.1 with MIUI user interface, the interface is simple and easy to operate. However if you are not comfortable using it , you can download the google launcher from play store and use it. Gaming performance: The Adreno 506 GPU can play decent games, heavy games can be played with low or medium settings. It doesn’t heat up even with intensive gaming. Camera: The 13MP back and 5MP front camera clicks good picture, however the video recoding is average. Call Quality : The call quality is also good with absolutely no call drops. Feature: Supports IR blaster and USB on to go to transfer files. Storage : Comes with 32GB internal storage which is good at this price range and 256GB expandable storage. Front camera: The front camera video recording is average. Charging: The phone doesn’t support quick charging and takes time to charge. Sim: Supports Hybrid sim type, which might be a disadvantage for few. Speaker: The speaker output is ok. Build Quality: The phone comes in 2 colours : Venom black and Fine gold. Both the colours look good but the venom black looks better. The phone’s back is metal the upper part is plastic, it is not complete metal. The size is comparatively smaller then Xioami Redmi Note 4, feels great in hand. Display: It sports a 5.2 inch display with 1080p display (Full HD display) and curved HD glass, the display is sharp and bright. It’s a delight to watch movies with curved display. Fingerprint Scanner: The fingerprint that is placed at the back is very quick and responsive. It can also lock some of the apps. 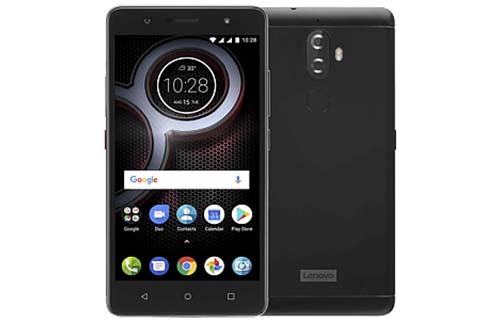 Software: Lenovo K8 Plus comes with MediaTek MTK Helio P25 Octa Core 2.5 GHz, although it doesn’t come with Snapdragon chipset, nevertheless the performance is good with 3GB RAM. It also runs on the latest Android Nougat 7.1 with stock android user interface, this feels even more better at this price range. Speakers: The phone comes in a Dolby atmos single speaker. The speaker is present at the bottom, most of you might mistake it for a dual speaker as it is present at the bottom, but the phone features only a single speaker, the other one is just a noise cancellation. The speakers are one of the best at this price range. The music played through this are loud and clear. One of the best feature about this phone is the dedicated music button which is present on the side of the phone, this will allow you to play music directly. Camera: The dual rear camera with 13MP and 5MP takes good pictures, it also comes with depth effect that takes good detailed pictures. The 8MP front takes good selfies, The Full HD video recording is good. Although it does come with front flash, the pictures taken in low light is average. Sim Type : Features a dual sim type and has a separate dedicated micro SD card slot. Both the sim support 4G Volte. Call Quality: The call quality is good with good reception. Feature: Supports USB On to go that helps you transfer the files. Gaming Performance: The gaming performance is ok, it can play most of the games but not the best experience. Display: Sports a 5.5 inch HD screen, the display quality is not as good as Redmi Note 4 or Lenovo K8 Plus but it is decent enough, the viewing angles are ok. The display is protected by Corning Gorilla glass 3 which resists it from any scratches. Build Quality: The phone comes in a full plastic build so it doesn’t feel premium but however it does feel good to hold. The phone comes in 3 beautiful colours: Dark Grey, gold and silver. Fingerprint sensor: The finger print sensor is placed at the back, it is not the quickest but quick enough to unlock the phone within seconds. Software: It runs on 1.4GHz Qualcomm Snapdragon 435 octa core processor with 3GB RAM, performance wise it’s mostly lag free and fast. Even gaming experience with Adreno 505 is not bad, can handle heavy games. The phone comes with the latest Android Nougat 7.1 with MIUI interface, the interface is to operate and performs smoothly. Camera: Known as the selfie camera, takes good selfies with 16MP front. But the 13MP rear camera takes average pictures which is quiet disappointing. The front camera comes with the flash and the fingerprint scanner can also be used to click pictures. Sim Type : Its a dual sim phone which supports 4G and comes with a dedicated micro SD slot. Call Quality: The call quality is really good, with no call drops and good reception. Feature: USB on to go that helps you transfer files from the phone and vice versa. Storage: Comes with 32 GB internal storage and 256 GB expandable storage. Battery: The 3080 mAh battery can last for a day with normal usage, for heavy users phone can last for half a day you will have to charge after that. Display : It features a 720p HD display which is disappointing, they could have used a full HD display. Rear Camera: The 13MP rear takes average pictures and also the low lighting pictures taken through this are average. 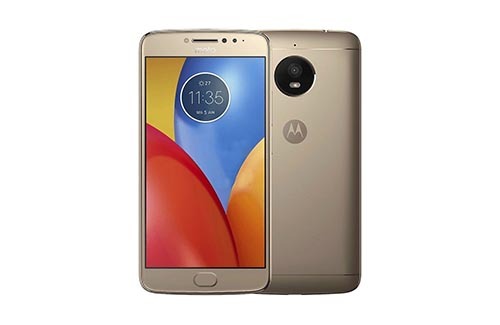 Introduction: Moto E4 Plus looks similar to Moto G5s Plus, Moto E4 Plus comes with 2 variants 16GB and 32GB internal storage with 3GB RAM. The 16GB variant is priced at Rs 7000 and 32GB is priced at Rs 10000. Build Quality: Unlike Redmi Y1, this phone has a aluminium unibody with 2.5D curved display. The only disadvantage about this phone is that it weighs about 198 grams and feels quiet bulky and heavy to hold. Fingerprint sensor: The fingerprint is placed at the front same as the home button, its fast and quick. Can unlock the phone within seconds. Processor: The Mediatek MT6737 processor with 3GB RAM is good for day to day use, can handle most of the tasks but sometimes it does tend to slow down. Battery: The best feature about the phone, huge 5000 mAh battery that can easily last for more then 2 days. With low resolution display this phone has the best battery life in this price range. Comes with 10W rapid charger that can charge the phone within 90 minutes. Software: Comes in Android Nougat 7.1 with stock android, the user interface is easy to operate. Speakers: Speakers are loud and clear. Display: It sports a 5.5 inch HD display which at this price range is a disappointment. Performance : The . phone tends to slow down after a while. Display: The phone sports a 5.2 inch HD display. Quality wise the phone produces good colours and picture quality. The sunlight legibility is decent as well. Initially this was priced at Rs 14999 which was too expensive considering the specs, after the price slash it has been priced at Rs 8999 which is decent. Build quality : Asus Zenfone Max 3s comes with metallic body at the back with top and bottom made up of plastic. Looks wise it looks very premium, feels good in hand and it comes in 2 colours black and gold. Performance and Software: The phone comes with MediaTek MT6750 chipset with 3GB RAM, it doesn’t lag with heavy usage. The Mali-T860MP2 can handle heavy games but heats up a lot after gaming. Fingerprint sensor: The fingerprint sensor is placed at the front which is the same as the home button, but the issue is that you need to click on it to activate the fingerprint scanner. Battery: The only best thing about this phone is the 5000 mAh battery, which also acts as the power bank this means you can charge other phones with this mobile by using OTG cable. The battery performance of the phone is very good, can easily last for 2 days with normal usage. Software: Comes with Android Nougat 7 with Zen UI, easy to operate. Storage: Comes with 32GB internal storage and has 2 TB expandable storage. Feature: Supports USB on to go that helps you transfer files. Camera : One of the most bad performing camera that we have tested, if you want a decent phone with a good battery life then buy this phone. Otherwise we don’t recommend you to buy this phone. Display : It comes with 5.2 inch HD display which is such a disappointment for this price. They could have provided with 1080p Full HD display. Gaming Performance : The gaming performance is average, it can handle most of the games but overall its ok.
Dual sim: The phone supports Hybrid type sim and only one sim supports 4G LTE, the other one supports 3G. Overheating: The phone has some heating issue . If you have any questions, feel free to ask in the comments section below. Also note, that this page will be updated once every 15 days. HLW, WHICH IS THE BEST PHONE TEL ME XIAOMI REDMI NOTE 3(16GB) VS COOLPAD NOTE 5.?? HLW, I AM CONFUSH WHICH IS THE BEST PHONE TEL ME XIAOMI REDMI NOTE 3(16GB) VS COOLPAD NOTE 5..??? PLS, PLS TEL ME FAST . Sir i’m confused between Lenovo vibe k5 plus and Redmi note3. Sir which mobile is better? Plz help me sir. between lenovo k5 plus and red mi note 3 .Note 3 is best it has lot of spec and a very gud battery life niether it get too hot after heavy usage ……….but if u choose lenovo k5 vibe its gud it comes at 6999 in amazon but it will not be a match for note 3. I want to buy andriod mobile under INR 10,000.Over all best performance with snapdragon processor.It’s Network bands fully supported out of india in 2G,3G,4G networks. Like Singapore, Dubai, China etc. @ Sumit: Redmi Note 3 is good option to buy. @Rakesh: Samsung Galaxy On7 Pro for Rs 10000 is a decent phone. hello sir.. i wanna buy best smart phone upto 10k plx sugges me.which is the best phone samsung on5 pro vs samsung on7 pro…..
Sir,i want the best quality camera phone to capture best pics even in low light,with out heating issue and best battery back up,with finger print sensor.i am not a game lover,i like to browsing or watching movie in mobile.my budget is 9000.will lenovo k4 note be a good choice?Or others?Plz dont suggest me redmi note 3,only problem of that is hybrid sim slot.plz rply me now. I wanna buy a phone under 10,000 with huge battery and which supports quick charge 3.0. I want buy a mobile. My choice is xieomi redmi 3s.what do u think about this phone. Some people told me that it is very bad. I know my requirements are more regarding my budget,but hoping for your best advice..
@ Anand : You can go Redmi Note 3, it almost meets your requirements. On my opinion try Moto G3…no hamging issues…other mobs.Moto G3, G4…n not G4 plus…..zenfone max if u like….Xiomi redmi 3s prime Redmi note 3….no prlbm in case of brands…then Oppo neo 7…etc.. I want to buy a new phone I can’t decide which phone would better asus zenfone laser or coolpad note 3. @Shuvam: Asus Zenfone Laser is a better phone than Coolpad Note 3, Coolpad has got some issues with heating. @ Himanshu: It does heat up after gaming and it does have Gyroscope sensor. @ Anu: Asus doesn’t hang while using. We haven’t faced any such issues on Asus. We haven’t tested Vivo Y31, so cannot comment on that. apart that which the the best company to buy smartphone to in future dont shut their business and service center. what is the guarantee the following companies to not shut in future ??????? sir, i want to buy a smartphone under 10k and my requirements are good battery and good camera only i need nothing except these two things plz. Suggest me one ? Sir, I want to buy a phone which would last long especially with no heating problem. I am confused between xiomi redmi note 3,meizu note 3 and zenfone max or laser. 3. Slightly gaming nt heavy. Main thing is vedio quality. Under 8.5k which one to buy??? planned to buy smartphone under 10000.
expectation: high resolution,availability in stores,service availability,not heavy gamer,long life,good processor,safety from mechanical damages. which is the best smartphone under 10k? Sir i wanna to buy phone with good camera qualitquality and good performance and has no heating issue and no hanging issue and have 2 or 3gb of about ram and have fingerprint scannar under 9000 rs. i am planning to buy mobile under 10k. which one to buy, whether Asus zenfone Max or Xiaomi Redmi note 3. Could you please suggest………. @ Nataraj: Xiaomi Redmi Note 3 is a better phone to buy Under Rs 10000. Just i need a phone for playing a huge heavy high end gaming phone .. for indian and I’m. Indian we don’t get alot of service centres for mobiles !! Or should I go for lenovo vibe k4 note ? 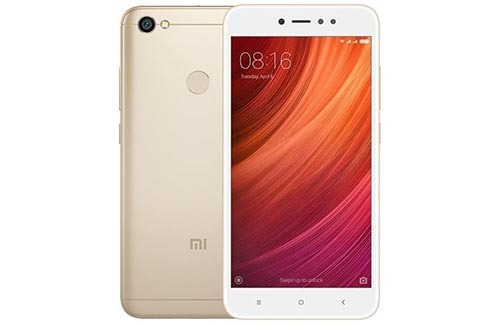 Does XIAOMI REDMI NOTE 3 16GB (2GB RAM,DUAL SIM)- RS 10000 has the provision of connecting Pen Drive? @ Pankaj: Yes, it supports USB on to go which lets you transfer all the files. What is the RAM and internal memory of Le Max2. When it will be released. Is it a good one. And what will be the cost price?? What is the RAM and internal memory of Me Max2. When it will be released. Is it a good one. And what will be the cost price?? sir I want buy lenovo vibe k5 plus it can takes high games and how much can be heat? I need a phone with a great camera..and i am confused between xiaomi redmi note 3 and moto G 3rd gen..can u please suggest me one with the best camera under 10000. @ Saiteja: Very soon we will be getting the Marshmallow update on Redmi Note 3. The camera takes good pictures. Which handset will be best under 15k for a gamer and a social media person ? @ team u didnt mention about the heating effect on redmi note 3 in previous comment! since we have seen lot of comment on heating issue in amazon, really confused.let me know about ur opinion. ur teamrmate really tested xiami redmi note3 or not? which is best to use in Lenovo under 10k plz suggest..
is k3 is good phone to use…. @Naresh, yes, there are some heating issues with K3 Note. But only if your usage is very heavy (like non-stop gaming or multitasking). @ Monisha A J: Xiaomi Redmi Note 3 is a better phone than Moto G3 and Honor 2 Plus. Camera, Processor and battery is much better in Redmi Note 3. The only issue with the phone is the availability. Will RedMI Note 3 have an update to Marshmallow in upcoming days. The phone looks pretty reliable with all good specs. Need info on this if you have any. @ Naga Pavan Kumar : Yes definitely, Redmi Note 3 will be getting the marshmallow update soon. @Abhi, depends on which Xiaomi device you are planning to buy. What’s your budget? Does Asus zenfone max come with headphone ?and is it able to play heavy games ? @ Amarendra: Honor Holly 2 PLus is good phone, you can go for it. I want sir 10000 k under mob 3 GB ram good quality camera 5.1 above android and good betray life R u which mobile suggest me ? sir, in amazan user reviews saying redmi note 3 is overheating , i am confused , i am still want to buy redmi note 3, is this true heating is issue in redmi note 3.
are there any mobiles under 10k with dual sims active and sd slot seperately..
@ Rahul: It’s a hybrid sim slot, this means that you can either insert one nano sim card with micro SD card or both the sim cards together. You cannot use all three of them together. @ Karthikeyan : All the phones below Rs 8000 have a 5 inch display, incase you want a 5.5 inch display you will have to increase your budget by Rs 2000, There are plenty of options there i.e Xiaomi Redmi Note 3 and Asus Zenfone Max both priced at Rs 9999. Sir,I am a good heavy game and phone user and wish to buy a phone regarding performance. I want a beast phone under 15k which does not heat while playing heavy games,and at least has a battery of 3000mah.. Please suggest me an adroid mobile within 5000/- should have atleast 1 gb RAM, 8gb ROM, good battery and min 4.5″ screen. I live in a small town n I want a phone which has better after sales service. UNDER 10K. Pls suggest me a good phone. Hi Rishi, you can go with Honor Holly 2 Plus. I want to buy a phone which do not hang and do not heat up while playing online games. Based on online search I decided to buy HONOR HOLLY 2 PLUS. What do you suggest? @Ghani, what is your budget? Please specify budget, only then can we suggest a phone. @ Harshdeep : Xiaomi Redmi Note 3 is a better phone then Lenovo K3 Note and Moto G 3rd Generation. The phone doesn’t hang up, battery back up is one of the best among all the phones priced at Rs 10000 and it takes good images. Hope we have helped you to choose the best one. @Rohit Singh, service and longevity wise it’s better to go with Motorola phones. Hi..Sir I just wanted to know which is important in a phone for playing high end-games???? Sir..why moto has high SAR value when compared with zenfone and samsung ?what r the factors does SAR value depend on? sir which is best 10000 phones? @ Sanji : Asus Zenfone Max Priced at Rs 10000 comes with 5.5 inch screen ,good camera, fast processor and 5000 mAh battery which can also be used as powerbank to charge other devices. But if you looking for a branded phone then you can go for Moto G 3rd Generation which sports 5 inch screen with good camera and battery life. sir i think samsung on series ,z series and j series is far better than those smartphones what is ur openion abt it? @ Arun : Honor 5X is a good phone with Bright 5.5 inch display, fast fingerprint sensor, 401 Ppi, Fast processor with 3 GB RAM, Lagfree performance, good camera and Huawei has promised that it will get the Marshmallow update soon. The only 2 disadvantages would be the display doesn’t come with Gorilla Glass protection and it feels a bit slippery due to it’s metal body. Lenovo K4 note is a great phone but it does heat up after intensive gaming and also the gaming performance is average, otherwise the phone is packed with good specs. pls update me some details on samsung On5.. ram left after inbuilt/installed apps frm factory.. pls compare it with lenovo a7000..
iam having gione elife S 5.5 phone but its not working now i have show at service center bt there are saying its motherboard is no more(cant be repair) now plz suggest me what to do?? should i buy a new phone?? is there anyone who can purchase its other part. @ Deepak : Asus Zenfone Max priced at Rs 9999 is a great phone with great display, camera, and battery life of 5000 mAh. 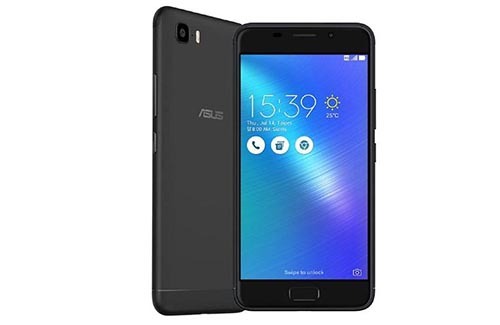 Check here :Asus Zenfone Max. LeTv 1S although has got great specs, it has some issues with battery and camera. @ Tilak Chakraborty : Well Asus Zenfone Max, Asus Zenfone 2 laser and Coolpad Note 3 takes average pictures in dim lighting. Lenovo K3 note takes good pictures both outdoor and indoor, However the phone has some issue with heating. You can also go for Moto G 3rd Generation which takes good pictures in dim lighting and is available now at Rs 9999. @ Ravi : Are you referring to Coolpad Note 3 priced at Rs 8999 or Coolpad Note 3 Lite priced at Rs 6999? Let us know. Sir can please help in choosing between Moto(3 Gen) and Asus zenfone 2 laser(Or Max). I prefer good call quality,less SAR, More durable, good music and battery..
@Gautam, both are good phones. You can’t go wrong with either Moto G3 or Asus Zenfone 2 Laser. There are three or four versions of Asus Zenfone 2 Laser, so be careful and use the links below the picture of mobiles on our article. There are two models that are difficult to differentiate ZE500KL and ZE550KL, the latter is better. Sir what u say about redmi 2 prime… I m thinking to gift someone..
i am confused between asus zenphone 2 laser and lenovo k3 note.. plz suggest me the best phone. I am confused between zenfone 2 and k3 note plz suggest which one is better and plz tell whether zenfone 2 supports otg or not ?? @ Rajat : Are you referring to Asus Zenfone 2 or Asus zenfone 2 Laser because those 2 are different phones. Asus Zenfone 2 2GB RAM is priced slightly higher than Asus Zenfone 2 Laser. i am confused to buy “coolpad note 3” what is your suggestion about this mobile? I am confused that which phone buy from lenovo k3note or Asus zenfone 2lazer can reply quickly. I am little bit confuse and not been able to take decision regarding to buy whick mobile under 10k . Whether lenovo k3 or asus zenfone 2 lazer.can u plz give me some suggestion regarding this matter. I m confuse abt buying Lenovo k3 note or Micromax yu yureka plus..
@MIthilesh Shrike: Lenovo K3 Note is a better phone than the Micromax Yu Yurekha Plus. Both phones come in 5.5 inch Full HD display. If you are into gaming then go for K3 Note as it doesn’t have heating issues. The Yu Yureka Plus tends to heat up while doing intensive gaming. Battery life on both phones are average at best. Among the two, our pick would be Lenovo K3 Note.